The good old trusty gas powered lawn mower is as popular as ever. And there are plenty of reasons for that, despite the surge in popularity of battery powered models. 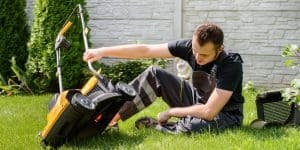 Let’s go over a few good reasons to get yourself a gas powered model, as well as my selection of the best gas powered lawn mowers in 2019. I have chosen a specific approach with this article. I am here to discuss walk behind push mowers which are powered by a gasoline engine. 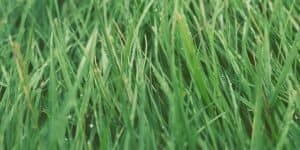 If you are interested in another type of mower, please follow the links to those respective pages. 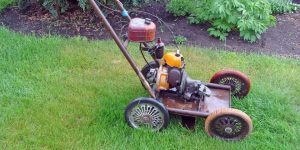 While some people swear by the new generation of battery-powered lawn mowers, there are still many people who prefer to use their old-school, gas-powered mowers. This is because they know that these machines are reliable, and that they are always going to get the job done. 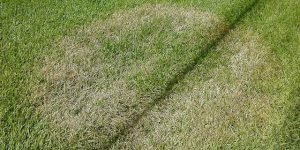 Yes, there is the hassle of having to use gas and oil, but it is a small price to pay for knowing your mower is going to work every time you pull that starter cord. 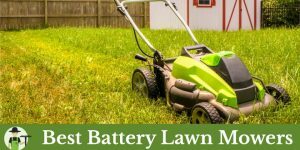 Today we are going to look at the benefits of gas mowers vs battery-powered models, as well as three of our favorite gas-powered lawn mowers walk behind push mowers. 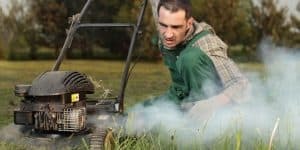 Longer Life – As long as it is properly maintained, a good gas mower will likely last longer than a battery-powered model. 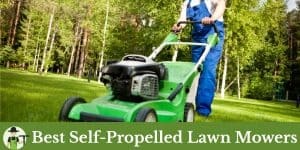 As a result, gas powered lawn mowers tend to hold onto their resale value for much longer. 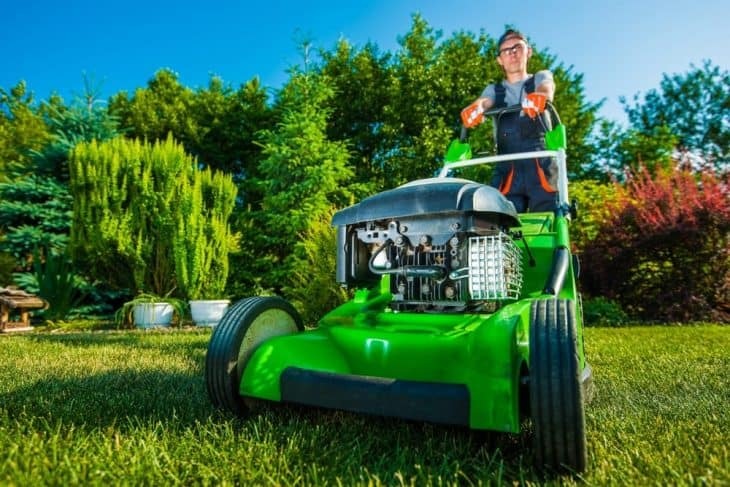 Power – Gas-powered lawn mowers tend to have a lot more power than battery-powered or electric corded mowers, enabling you to power though overgrown lawns and rough terrain. 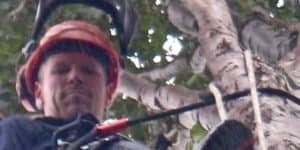 Portability – Battery-powered mowers eventually run out of battery time. Corded lawn mowers will run out of cord. Gas mowers will go further, because you don’t have to worry about battery time or cords. Gas is always available, wherever you are in the world. 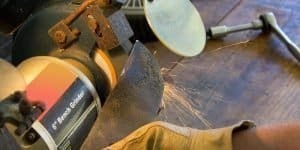 Affordable – The technology in these machines is almost as old as lawn care, dead simple, and inexpensive to produce. 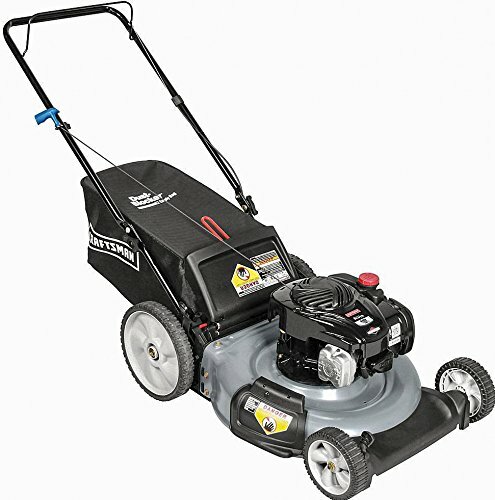 The Craftsman 37430 gas-powered lawn mower is another three-in-one push mower that will mulch or bag the clippings for you, or spit them out the side. It features a Briggs & Stratton five-torque, 140cc engine with reliable spark plugs that you won’t have to change every few uses. 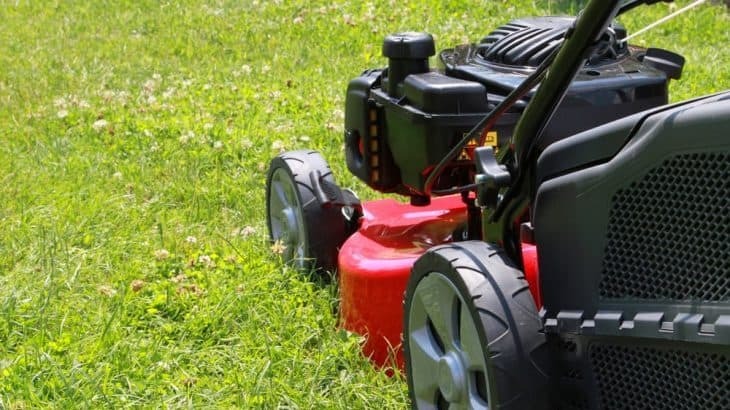 This is one of the best push gas lawn mowers on the market, and you can get it for under $500, so it isn’t going to break the bank. This is a great option for anyone with a mid to large-size yard. Cutting Width – This mower has a 21-inch cutting width, so you can get your entire yard mowed with fewer passes than you can with other mowers. Height Adjusters – Enjoy dual-point deck height adjusters with six different positions for various lawn heights. Wheels – This mower has seven-inch wheels on the front and 11-inch wheels on the back, making it easy to maneuver. Grip – Some users have complained that the grip is neither plastic nor rubberized, making it uncomfortable to use. 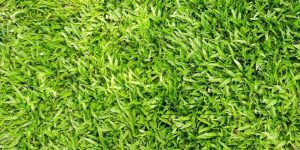 If you are looking for a quality, gas-powered lawn mower that costs less than $500, any of the above models should suit your needs nicely. 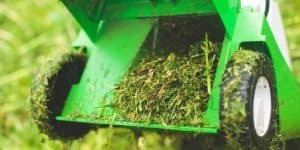 These are some of the best self-propelled lawn mowers in this price range, and they are all ideal for yards of most sizes, including larger yards. 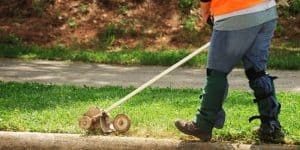 They all offer spitting, bagging, and mulching features, so your work is greatly cut down and you can spend more time doing things you enjoy much more than mowing your lawn. 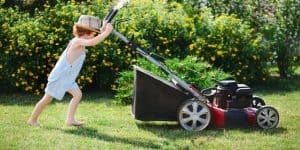 When looking for a gas-powered lawn mower, check to make sure that like the above models, it has a height adjuster, so you can cut various lengths of grass. It should be easy to use, like these models, as well as being easy to store. 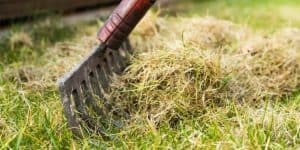 While there are many other gas-powered lawn mowers on the market that cost a lot less, you are not going to be getting nearly the same quality, and you will likely end up having to replace it in just a few years’ time.